We ask for your telephone number in case there is either a problem with processing your payment or a problem with locating your property for delivery. If goods are returned to us because our courier cannot locate your property and we cannot contact you by telephone, then you will be responsible for the direct cost of that return. We usually use a courier parcel delivery service. Our courier will only deliver on week-days and they are unable to leave parcels without a signature, unless you instruct them to do so via the check-out page of our web site. If you instruct us to request our courier to leave your goods without signature, the responsibility falls on you and we will not be held responsible for lost items. We will ask our courier to leave your goods in your preferred location but we cannot guarantee that they will always comply with our instructions.If they are not requested to leave the parcel without a signature and you are not at home when they attempt to deliver, our courier will leave a card and, by default, attempt re-delivery on the next working day. If you telephone the number on the card you can arrange for the parcel to be re-delivered on a different day or to collect the parcel from their local depot. Please provide a contact 'phone number with your order so that, in case of difficulties, our courier can contact you to agree a mutually convenient delivery arrangement. The couriers will normally only keep parcels for five working days before returning them to us, so please don't order just before you are due to go away for an extended period.If a parcel is returned to us by our courier because they were unable to get a signature and achieve safe delivery, through no fault of ours or our courier, you will be responsible for the cost of the parcel's return to us. This charge is currently £14.95 per order and will be deducted from any refund due to you. If your order qualifies for free shipping, please note that your order will only be dispatched once all the items you have requested have come into stock. We do not release part orders unless an item is cancelled by you. 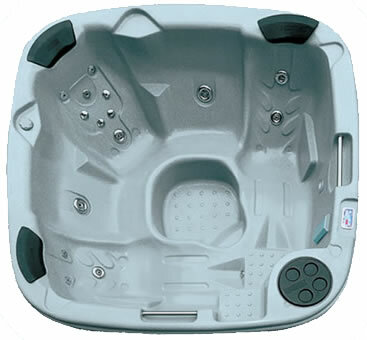 For pallet based deliveries such as hot tubs, saunas, gazebos etc, delivery will be anytime between 8.00am and 6.00pm on the day agreed between you and us (via our delivery company).Our delivery agents will contact you direct to arrange a convenient day for you to accept a pallet delivery. Your spa, sauna or gazebo will not be delivered until contact has been made and a delivery day and approximate time agreed with you. Delivery promises are based on the assumption that there is an unobstructed good hard road giving adequate access by lorry to the delivery address, available storage space and suitable and sufficient labour to unload the goods. Hot tubs, saunas and gazebos will be delivered to a driveway only. The delivery driver will not install them. Installation can be arranged upon request and is charged as quoted at the time. Please note that all orders purchased using any of our online or in-store finance facilities will not be delivered until the statutory 14 day 'cooling-off'' period has passed.